With well over 200 rivers and 600 lakes to choose from, the fishing Alberta has to offer is every freshwater fisherman’s dream. Thanks to the backdrop of the Rocky Mountains, turquoise waters, and long stretches of boreal forests, fishing in Alberta is like living in a fairytale. 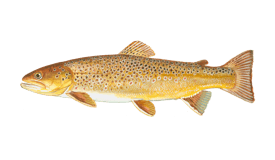 The freshwater game fish in numerous Alberta ponds, lakes, reservoirs, and rivers are diverse, but the main accent is on the excellent Trout fishery. 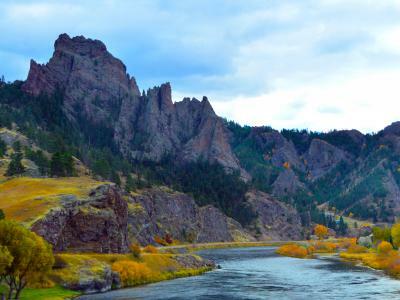 Outdoor enthusiasts coming out for a fishing trip and maybe a hike in one of the five national parks are in for a unique adventure. 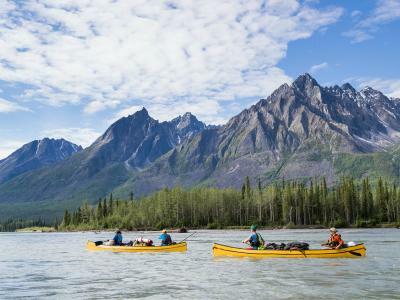 It’s no surprise that Canada boasts superb fishing opportunities, and Alberta is no exception. 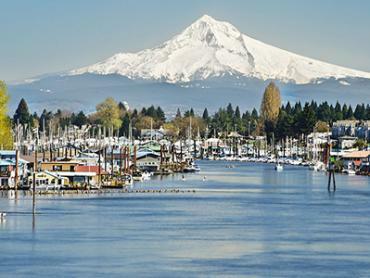 You can find first-class fishing in remote fly-in locations with secluded lakes and rivers. 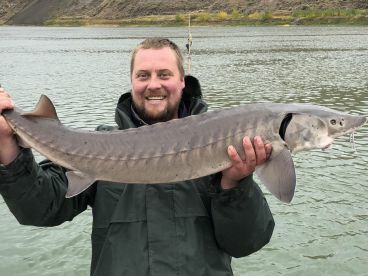 But the bite around big cities like Edmonton and Calgary is also red-hot, especially if you’re going after Lake, Cutthroat, and Brown Trout, as well as Sturgeon and Walleye. 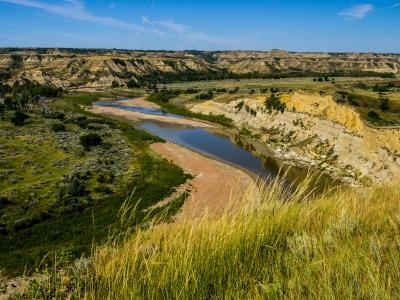 You can expect outstanding Trout fishing on virtually any river in Alberta, but there are definitely some rivers that you shouldn’t miss out on if you’re looking for top-notch fishing action. One of the most beloved locations of fly fishermen is the Bow River. This is the place to be if you’re looking to hook supersized Rainbow and Brown Trout, without having to venture off into the wild. 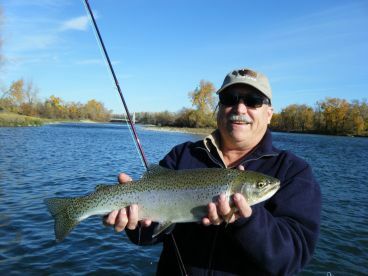 In fact, you can go on a fishing quest right in northeast Calgary, on the part of the river called the “Blue Ribbon.” Fly rodders flock to this section of the Bow River looking for their next trophy Trout, and the best time to come is between May until the end of October. The Oldman River is the place to go if you’d like to chase Cutthroat Trout, and its middle section will be most productive. Bull Trout are also plentiful here, and you’re allowed to target them (unlike in the U.S.), just make sure you release them without harming them. The Sheep River in beautiful Kananaskis Country is the playground of both Bull Trout and Mountain Whitefish. 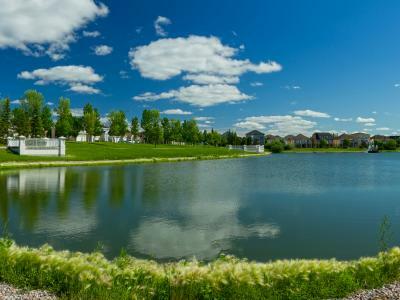 You can also find superb fishing in the province’s capital, Edmonton, on the North Saskatchewan River, where you can reel in massive Sturgeon, Walleye, and Northern Pike. One of the reasons fishing in Alberta is so popular is hundreds of productive lakes scattered all around the province. 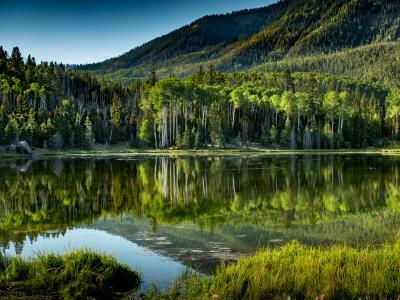 Some of the lakes are accessible and perfect for beginners and professional anglers alike, while others are more remote and require a skillful guide. These are just a few with a very good fishery to their name. 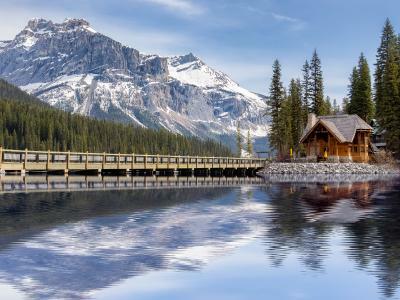 Lake Minnewanka in Banff National Park is the place to go when you want to pair splendid views with premier fishing. 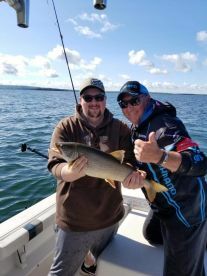 Massive Lake Trout (often reaching 40+ pounds) call these waters home, and Rainbow and Bull Trout come in great numbers, as well. Bear in mind that “Minnie” (the local name for the lake) is a strictly catch-and-release fishery, open from mid-May until early September. Calling Lake is the place to be if you’re chasing lunker Walleye, Northern Pike, and Perch. You’ll find it 35 miles to the north from Athabasca, and this is a favorite local fishing destination. Walleye can get quite big here, especially if you decide to cast your line in the deeper waters, and the Pike bite is good, too. The north of Alberta has another fishing gem – Lesser Slave Lake. Here you can enjoy the excellent Northern Pike, Yellow Perch, and Walleye bite year-round, because this lake offers great ice fishing, as well. 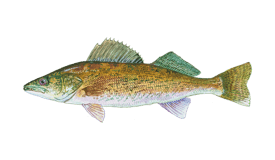 To catch super-sized Walleye in spring, go to the west basin. If you’re on a Pike hunt, the east end of the lake is the place to be. The ice fishing Alberta is famous for is the perfect opportunity to have a fun, productive day on the ice for both experienced anglers and curious beginners. There are plenty of lakes suitable for ice fishing – North Lake and Calling Lake produce good amounts of Walleye, Burbot, and Whitefish, and both of them are just three-or-so-hours from Edmonton. Lesser Slave Lake boasts an excellent Burbot and Walleye bite, and here, on the sunny winter days, double-digit hookups are the norm. This is just the tip of the iceberg, as there are numerous lakes all across Alberta that offer stupendous ice fishing from late December until the beginning of March. If you want to go fly fishing for Brown and Rainbow Trout on the Bow River, you will have great success using nymphs, dry flies, or steamers, depending on the time of the year. Both bait rigging and slow jigging are a good way to attract jumbo Yellow Perch, as well as Walleye. One of the best fly fishing spots on the Bow River is right between the Carseland Dam and Calgary, and you will do well to use 4 and 5 wt rods paired with Zonkers and Woolly Buggers. Alberta fishing regulations should be taken seriously, though they tend to vary from one body of water to another. There are two types of fishing licence you could need when fishing in Alberta, depending on your fishing location. Before you head out to the water, you will need a provincial licence. If you’d like to admire the beauty of one of the national parks, then a National Parks licence is a must. Bear in mind that the seasons and weight limits change significantly in different locations, so ask a professional guide to explain everything in detail. The beauty of Alberta fishing is that it has something for everyone, from half day excursions to multiple-day fishing adventures that will take you into the less explored territories. Multi-day fishing safaris can cost up to CAD 7,500, with accommodation, food, tackle, and transportation are included in the price. 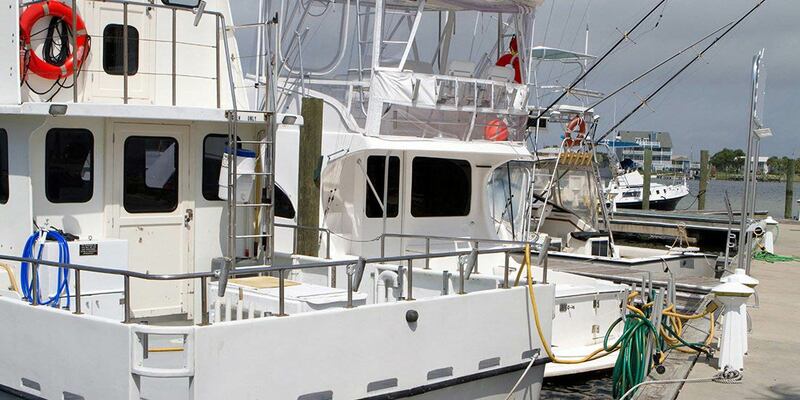 For full day fishing trips, you can expect to pay anywhere from CAD 600–900. 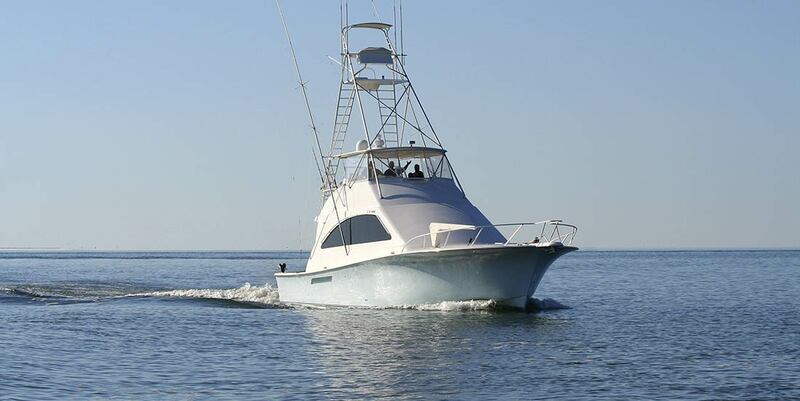 If you can only spend several hours fishing, then you can find trips averaging CAD 400. Every angler should experience the outstanding fishing Alberta has up its sleeve at least once in their lifetime. 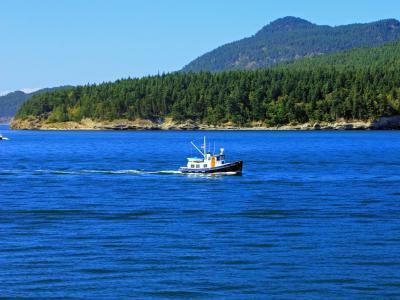 Whether you’re an avid Trout chaser or you simply enjoy the challenges of freshwater fishing, this province will blow your mind. 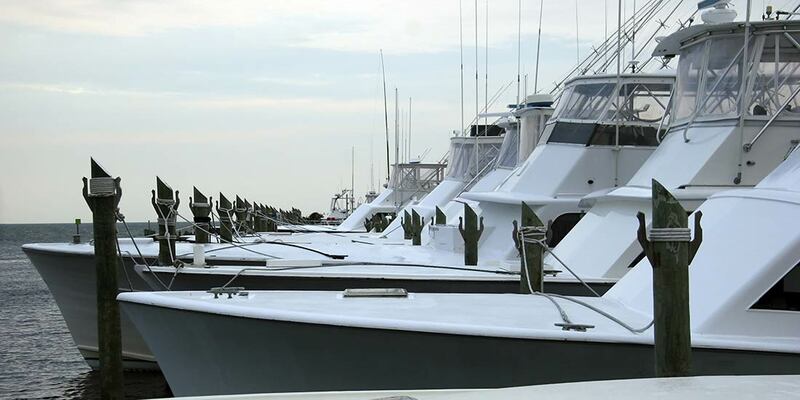 When you decide to explore this corner of the world, get ready – memorable fishing times lie ahead! The beginning of the year is the perfect time to go ice fishing. You’ll find Whitefish and Walleye under the ice in most lakes, and the Bow River doesn’t freeze over, so it’s excellent for a fishing workout in the low temperatures. It’s still quite cold outside, which means outstanding ice fishing opportunities. 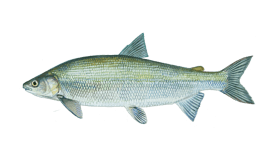 From Yellow Perch and Whitefish to Northern Pike and Walleye, anything could bite, depending on your location. The weather is more cooperative, and this is the last chance to enjoy ice fishing on the more remote lakes. Whether you’re targeting Lake Trout, Walleye, Burbot, or Pike, chances are you will be successful. Spring is upon us, so you can enjoy the marvelous views of Alberta while casting your line for different kinds of Trout, Perch, Pike, and Walleye on the rivers. Many fisheries open mid-May, which is just as well since this marks the beginning of the high season on lakes and rivers. 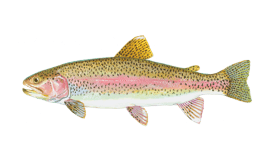 Think Rainbow, Lake, Brown, Cutthroat Trout, and many more. There’s no better time to enjoy beautiful the weather and outstanding fishing Alberta is proud of. In lakes, you’ll find a variety of Trout, and the rivers offer all that and more with Sturgeon, Pike, and Walleye in the cards. The temperatures in July don’t often rise above 80°F, providing you with the perfect conditions to catch Rainbow, Lake, and Brown Trout, among many others. The Bow River is especially bountiful. 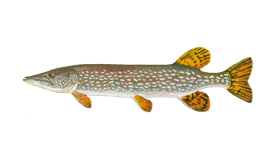 Come to Alberta in August, to catch super-sized Pike in Lesser Slave Lake, Cutthroat and Bull Trout in the Oldman River, or Walleye and Perch in the Calling Lake. Whether you do fly fishing or regular fishing, the fall Trout run in Alberta is marvelous. To be successful, fish during the hottest parts of the day using a light tippet and smaller bugs for fly fishing. In October there aren’t as many people on the water due to colder weather, but Trout fishing is not giving up. Rainbow and Brown Trout are the prized catch. Many lakes have closed their fishing season, at least until the ice sets in and it’s safe to do some serious ice fishing. 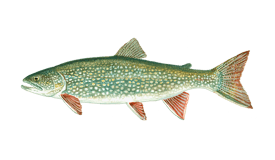 Big Northern Pike, Walleye, and some Trout are all game. Being on the water isn’t for the faint-hearted, as the temperatures are dropping and the winds are howling. 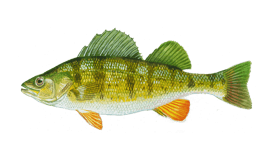 Ice fishing season is upon us, and that means Walleye, Whitefish, and Yellow Perch are taking the stage.